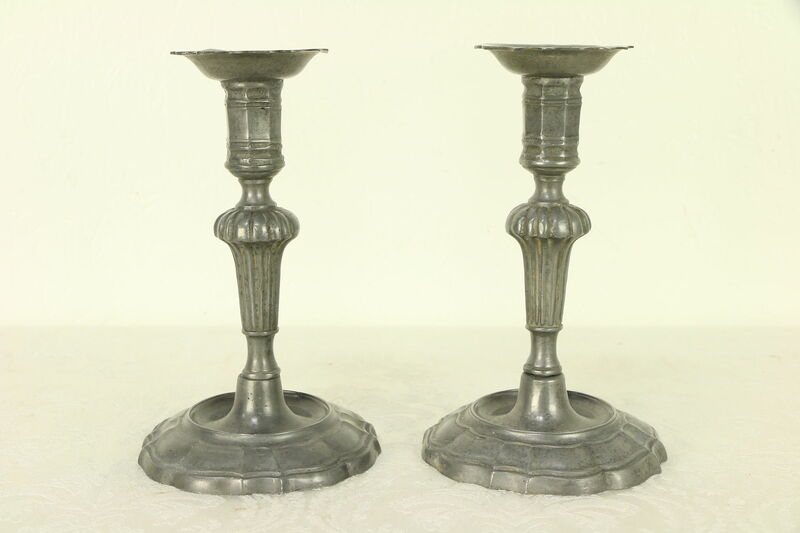 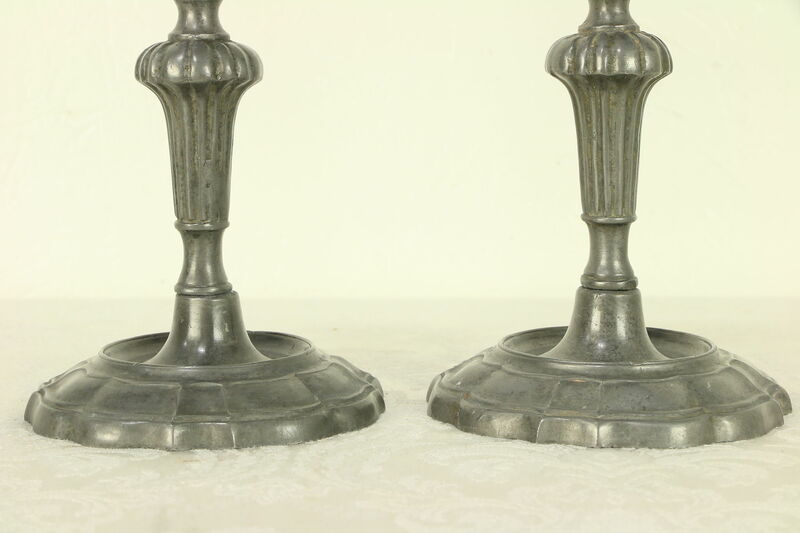 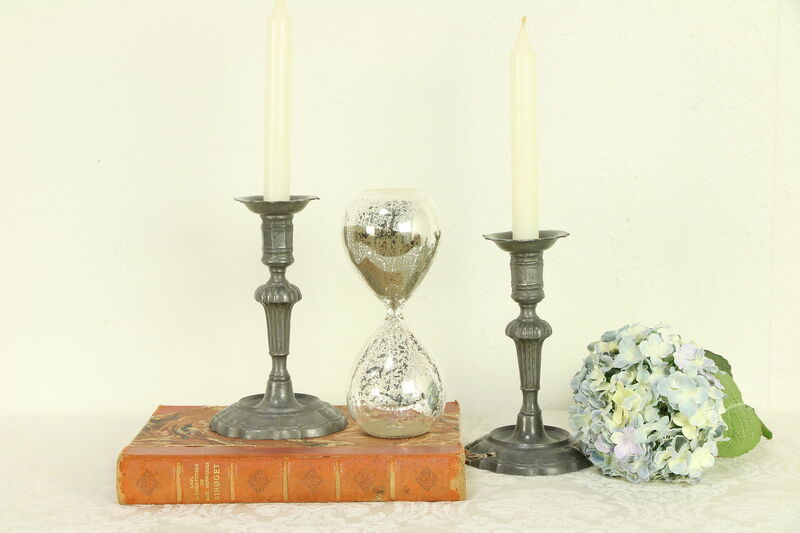 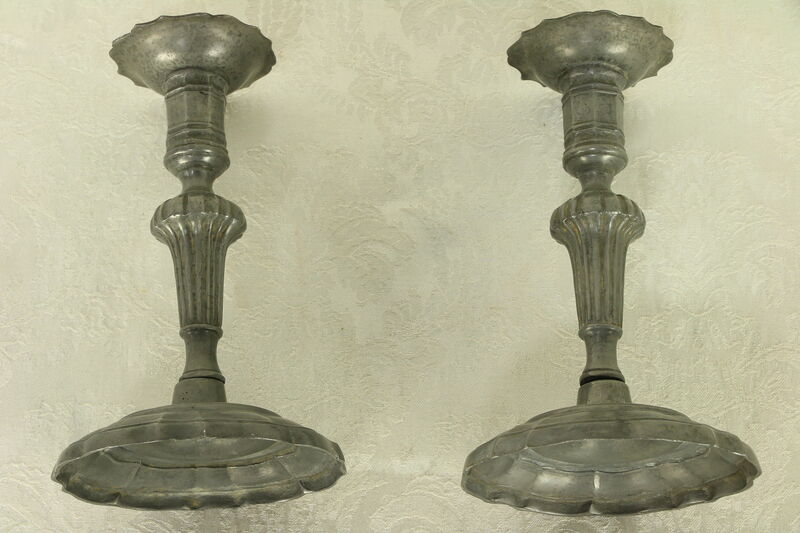 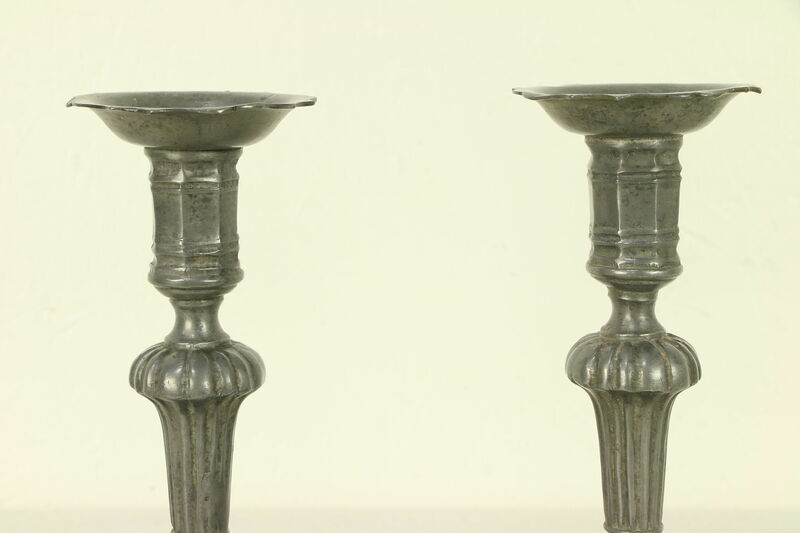 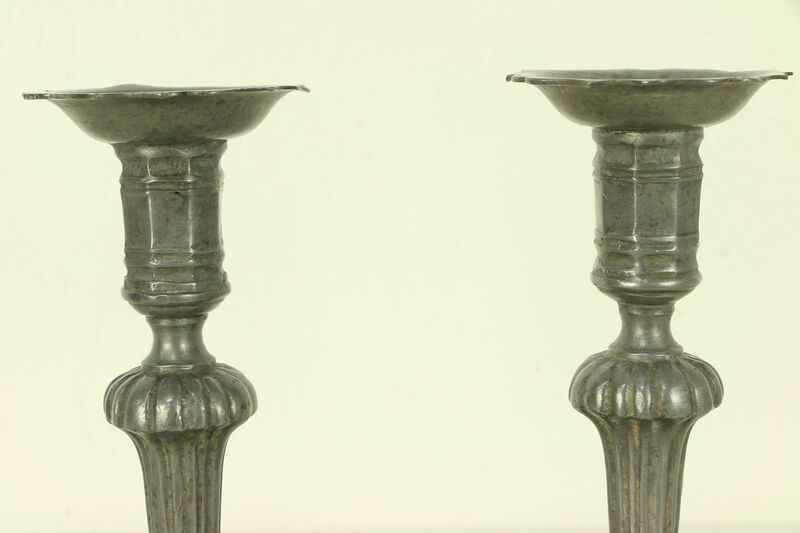 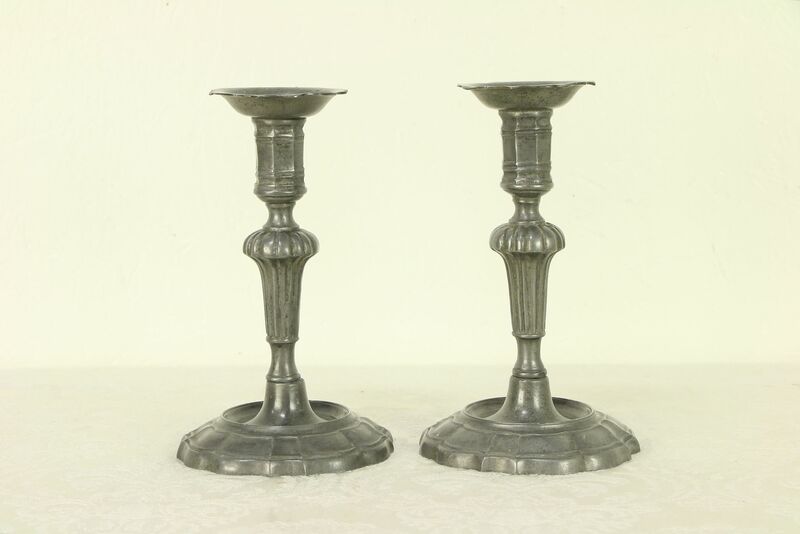 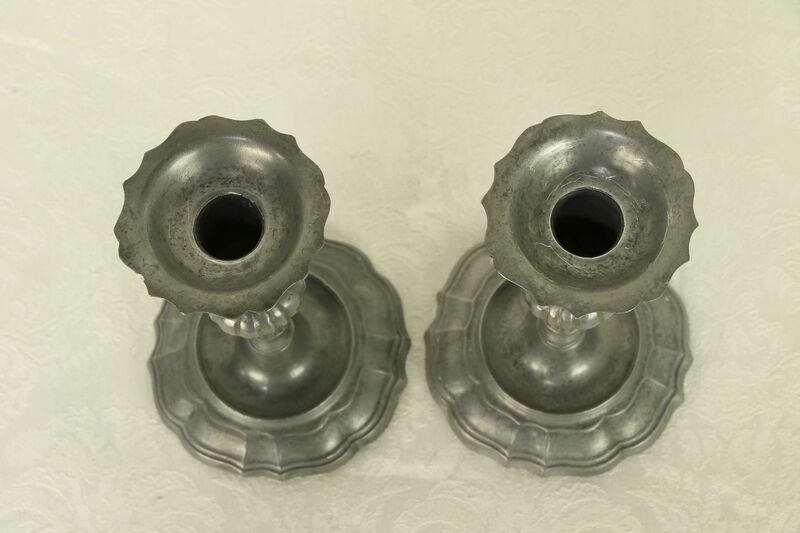 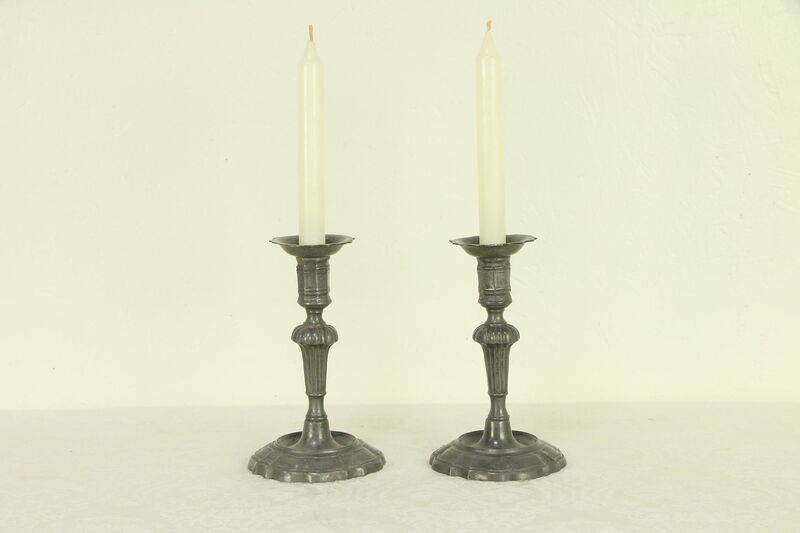 A pair of richly detailed Victorian period candlesticks from around 1890 have no signature stamps. 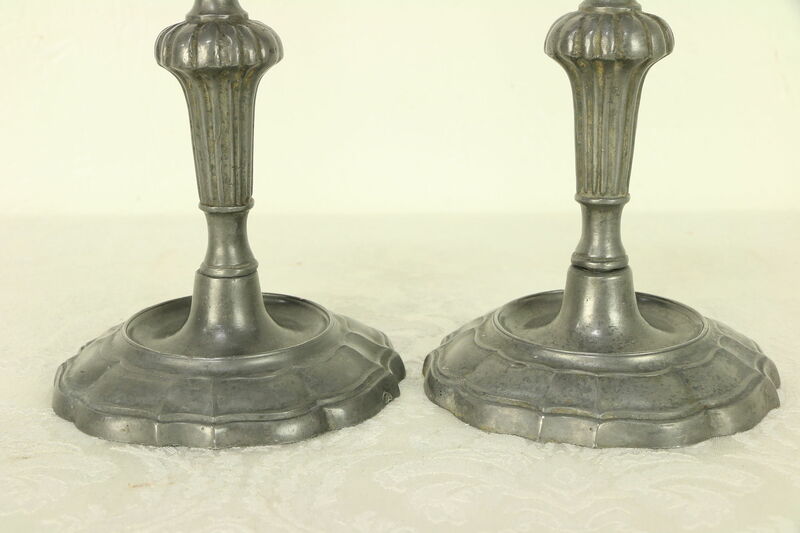 There is just enough wear for a little antique character. 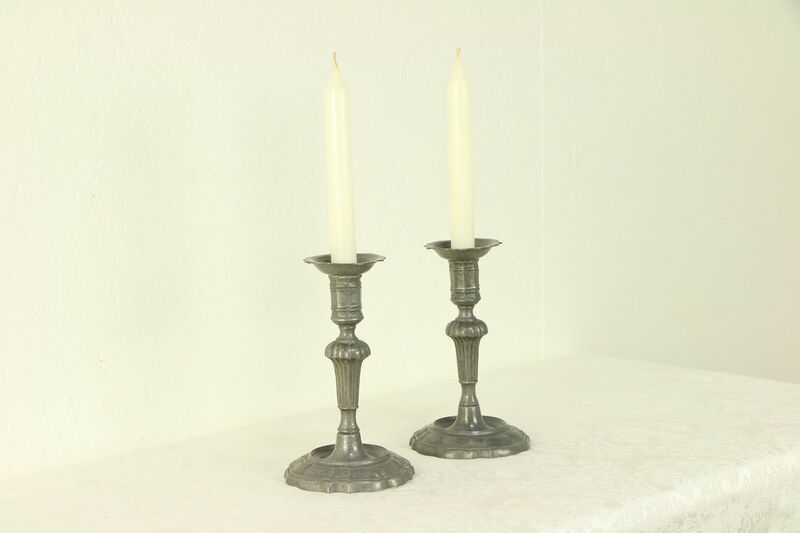 Shafts thread onto the bases on these American made candle holders. 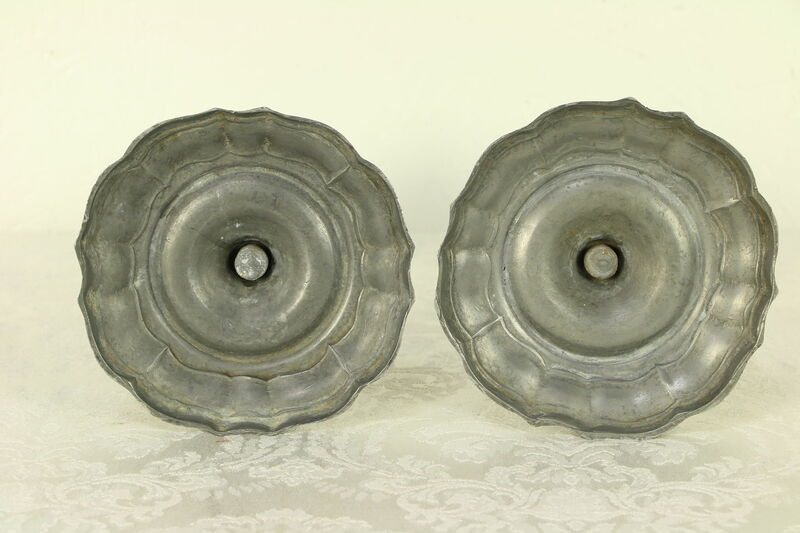 Size is 4 1/2" across and 7 1/2" tall.